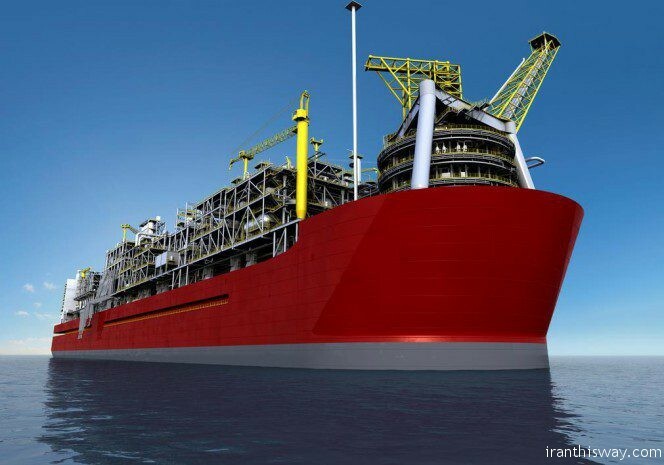 Iran to sign first FLNG deal with Norway - IRAN This Way: Become familiar with Iranian lifestyle! Iran, the world’s biggest gas reserve holder (33.5 trillion cubic meters, 18 percent of the total) has increased its gas output significantly and is targeting an output of 1 bcm/d by March 20, 2018. Iran prefers to export liquefied natural gas (LNG) to distant markets including the EU, but no agreement has yet been reached on the construction of plants for the purpose, reported Trend News Agency. The country’s sole LNG project, the 52-percent completed ‘Iran LNG’ needs an investment of about $8-10 billion and talks with foreign investors haven’t yielded any results so far. Last year, Managing Director of National Iranian Oil Company Ali Kardor said that Iran is targeting exports of 0.5-2 million metric tons per year (MT/y) of LNG using mini-LNG plants and floating LNG vessels (FLNG) — Iran’s alternative projects to export LNG. The country has signed memorandum of understandings (MoU) with South Korean Kogas on the development of LNG projects as well as with National Energy Administration of China on developing mini-LNG projects. However, talks on purchasing or manufacturing floating liquefied natural gas (FLNG) vessels in recent months have so far yielded no results. Now, Kardor says that Iran’s first deal on the construction of a FLNG facility will soon be signed with a Norwegian company. The 20-year deal is intended to produce 500,000 tons of LNG, Kardor said on October 10, adding that pricing formula of the products will be determined by the Oil Ministry. He did not disclose the name of the Norwegian firm, but last year it was announced that Tehran is negotiating with Norwegian Golar and Hemla Vantage companies. Golar owns one of the largest FLNG fleets in the world, while Hemla Vantage was keen to lease a FLNG vessel from a Belgian company, Exmar, to collect and liquefy flaring gas in offshore fields around Kharg Island in the Persian Gulf (the amount of yearly collection and liquidation of flaring gas in Kharg Island can stand at 0.5 MT). Launching FLNG and mini-LNG facilities will help Iran diversify and expand its natural gas market. The projects will also grant the country chance to convert its flaring gas (mostly from burning associated gas in the oil sector), which currently amounted at about 11 billion cubic meters per year (bcm/y), into LNG.